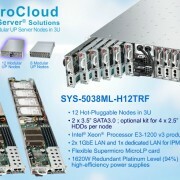 Supermicro Servers Support Fusion-io™ – Throughwave (Thailand) Co.,Ltd. 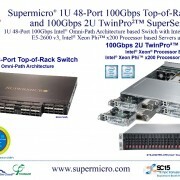 Supermicro has partnered with Fusion-io to bring the latest high performance storage technology to server system customers. Fusion-io’s solid state storage application accelerators, based on NAND Flash memory technology, offer several magnitudes of breakthrough performance improvement at a fraction of the cost of today’s traditional disk-based storage systems. The company’s ioMemory architecture creates a new tier in the memory hierarchy with 100 times the capacity density and 10 times the capacity per dollar of traditional DRAM. Fusion-io’s NAND flash-based PCI-E ioDrive cards provide terabytes of near-memory-speed storage in each Supermicro server node, bringing extremely large memory problems and I/O bound analysis to a new level of cost effectiveness. – Slash infrastructure expenditures, maintenance overhead, power and cooling costs. 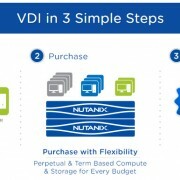 – Eliminate I/O (input/output) bottlenecks to dramatically accelerate applications and databases. 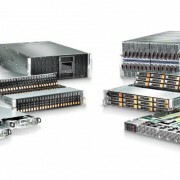 This new approach to storage technology is applicable to Supermicro customers in a wide variety of applications such as Database/Data warehousing & OLTP, Web 2.0 Servers, HPC, Virtualization, Government, Military, Video rendering, Film conversion, and IPTV.